It's been four years since the kids first discovered the Junior Ranger program at Badlands National Park, and thus began their obsession. I'm never one to let an educational experience go, so since that first thrilling day, I have deliberately organized ALL of our US vacations to include as many Junior Ranger programs as possible, and I've included all of the Junior Ranger programs that it's possible to earn by mail into our homeschool plans. "How did you figure out where all of the Junior Ranger programs are?" you ask. 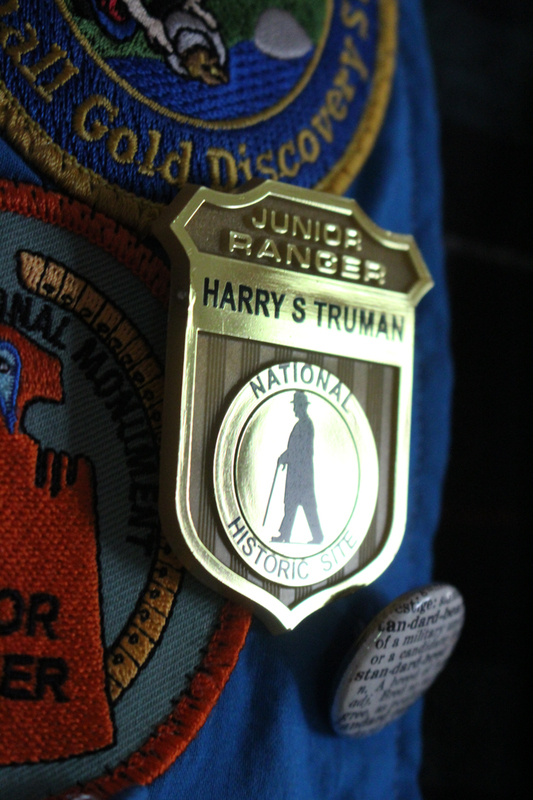 Yes, that is EVERY SINGLE NATIONAL PARK SITE WITH A JUNIOR RANGER PROGRAM. I put them all in by hand. I went to every single national park's website, searched for its Junior Ranger program, and if it had one I put it on my map. When I plan road trips, I check my map for all the nation park sites with Junior Ranger programs that we could detour to, and then we detour to them. During our upcoming road trip, for instance, we're visiting Saint Croix Island and Acadia National Park, primarily for their Junior Ranger programs. 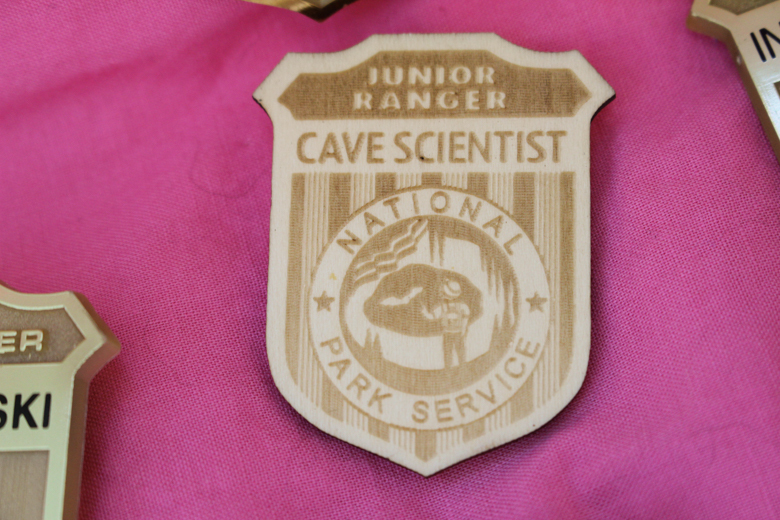 But the kids' enthusiasm for earning Junior Ranger badges is unceasing, and yet we cannot spend our entire year traveling to various national parks. If only! So I went back through every one of those websites, and I noted every park that permits children to earn their Junior Ranger badge by mail. Most of these parks provide the badge book as a downloadable pdf for kids to complete using internet or book research (often the park's own website, but we've also found useful park videos on YouTube). They mail their completed badge books to the park, and in return, the park rangers mail them back their badges and certificates. 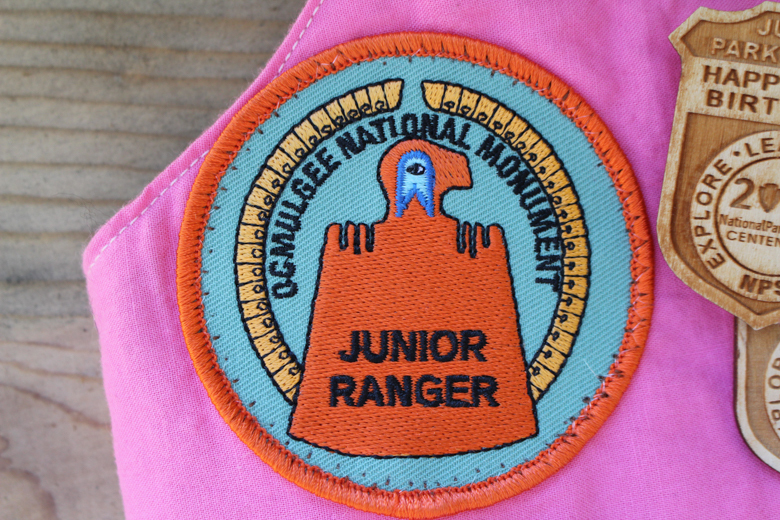 The kids have been doing this for years now, and still have tons of Junior Ranger badges left to earn by mail. They've learned geography, history, and several sciences in the process, experienced the breadth and depth of the national experience in ways they haven't had the opportunity to do in person, and have an intense appreciation for the variety of cultural, historical, and geographic artifacts and monuments that must be explored, preserved, and protected. 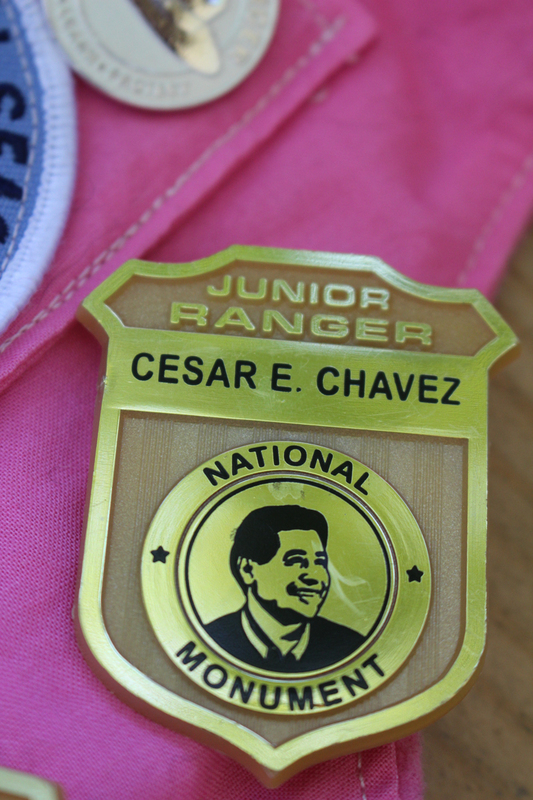 Not every national park, or even most national parks, allow their Junior Ranger badges to be earned by mail, mind you. You'll know if one does, because it will say so on its website or on the book, and it will have the book available as a downloadable pdf and include a mailing address for the completed book to be sent to. Many parks will state, kind of pissily in my opinion, that they do NOT allow badges to be earned by mail, and that's their right, but I think everyone loses when they do that--why stifle a kid's desire to learn? Why refuse an opportunity to grow someone's knowledge and love of your national park? Before you get your kid all revved up on earning these badges by mail, you should know that since you've got to mail the completed badge books to each park, you'll be paying a few bucks for postage and manila envelopes each time. If you're conserving resources, check out the online badges that I've noted in my list--those let kids either do or submit their work online, so you don't have to pay for either supplies or postage. Appomattox Court House National Historical Park (Virginia). Kids can earn this one online! Aztec Ruins National Monument (New Mexico). Kids can earn this one online! Badlands National Park (South Dakota): maybe? You can mail your book in for a badge, but I don't know if you can actually complete it without visiting the park. Buffalo National River (Arkansas): maybe? You can request that a Junior Ranger book be mailed to you, but we haven't done this one yet, so I don't know if you can actually complete it by mail. 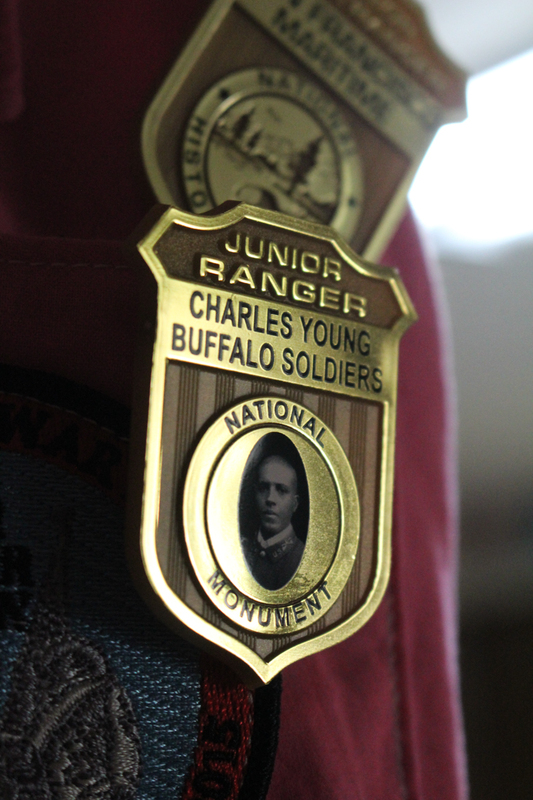 Charles Young Buffalo Soldiers National Monument (Ohio). This one can be earned online! Denali National Park and Preserve (Alaska). 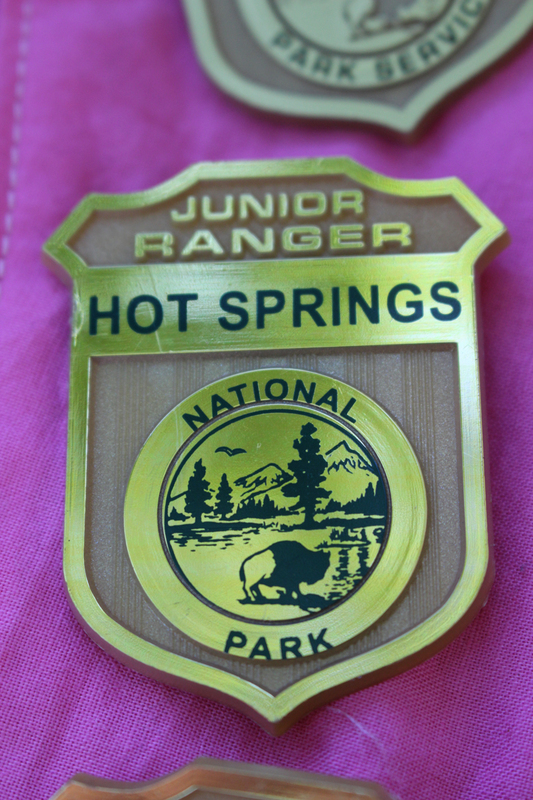 This was Syd's favorite Junior Ranger badge to earn by mail. She LOVED researching the sled dogs, and was thrilled when the ranger who mailed her badge to her wrote a letter to her that told her even more about them! Eisenhower National Historic Site (Pennsylvania). This badge can be earned online! Home of Franklin D. Roosevelt National Historic Site (New York). This one says that it will *soon* be available to earn by mail. Hopewell Culture National Historical Park (Ohio). This can be earned online, although we visited there in real life. Hot Springs National Park (Arkansas). 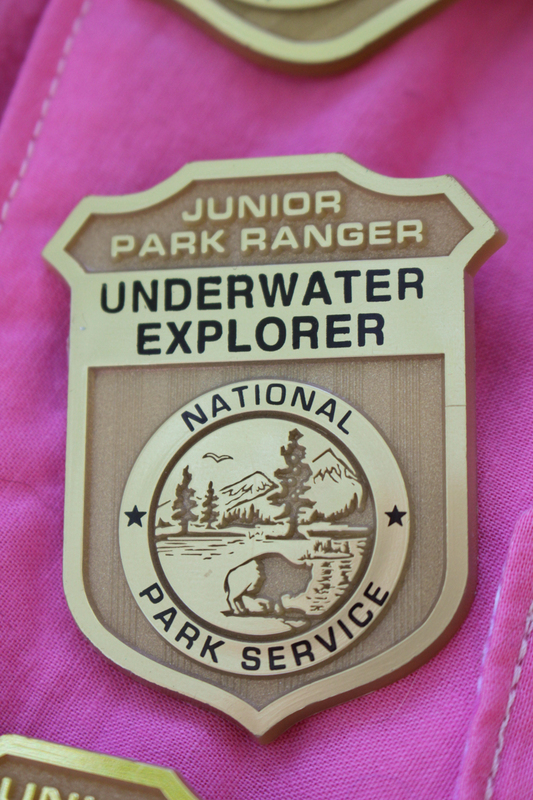 This, randomly, was one of Will's favorite Junior Ranger badges to earn by mail. She found the history of the hot springs fascinating, so much so that it's on our someday travel list! Jimmy Carter National Historic Site (Georgia). This is another badge that had a profound effect on Will. She was unexpectedly moved by the story of Jimmy Carter, and now longs to meet him. Johnstown Flood National Memorial (Pennsylvania). Both kids loved earning this one, and it led us to explore more about our own local dam. Juan Bautista De Anza Historic Trail (California). This one can be earned online. Lake Mead National Recreation Area (Nevada). This is another one you can request by email, but I don't know if you can actually complete it without a visit. Lincoln Boyhood National Memorial (Indiana). The kids earned this one in person! Little Rock Central High School (Arkansas). This one got earned in real-life, too. Ocmulgee National Monument (Georgia). We went there last year! Petrified Forest National Park (Arizona). 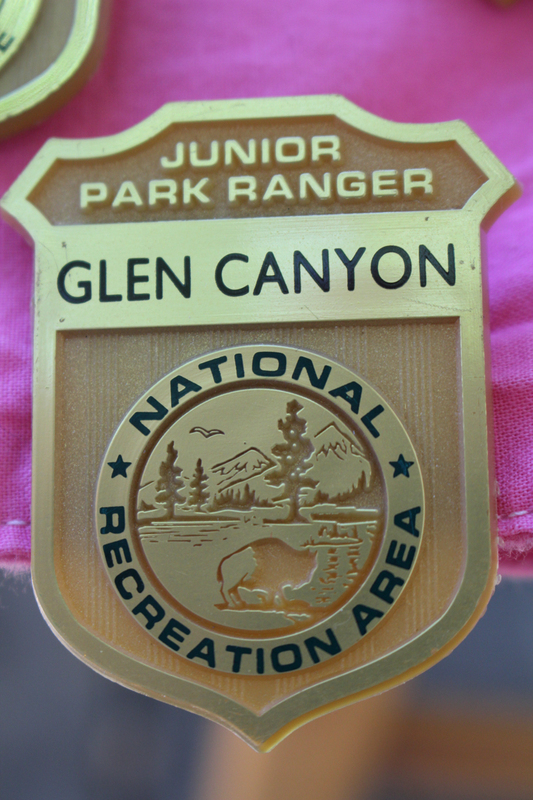 The kids earned this one by mail, because we didn't know about the Junior Ranger program when we visited there. Point Reyes National Seashore (California). 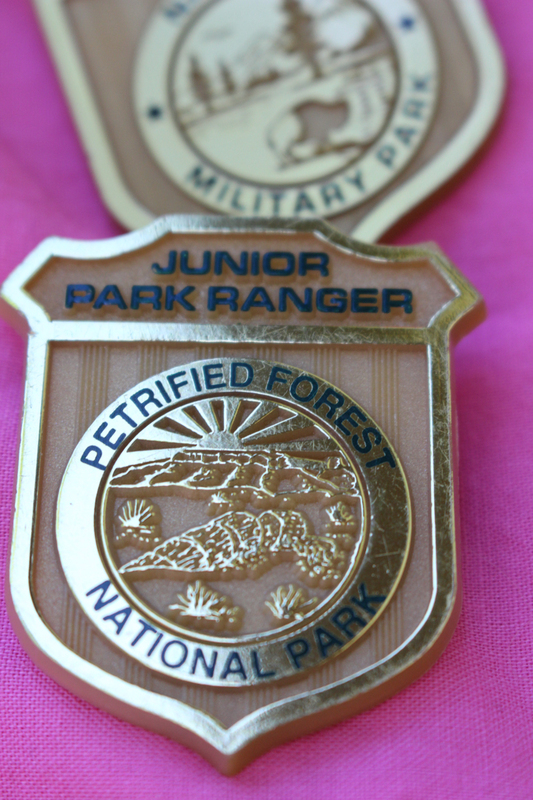 I didn't know about Junior Rangers when we visited here, either--thank goodness for badges earned by mail! Sitka National Historical Park (Alaska). Matt and I have been to Sitka, but we weren't thinking about Junior Rangers while we were there! Wrangell-St. Elias National Park and Preserve (Alaska). Matt and I have been to Wrangell without the kids, too! 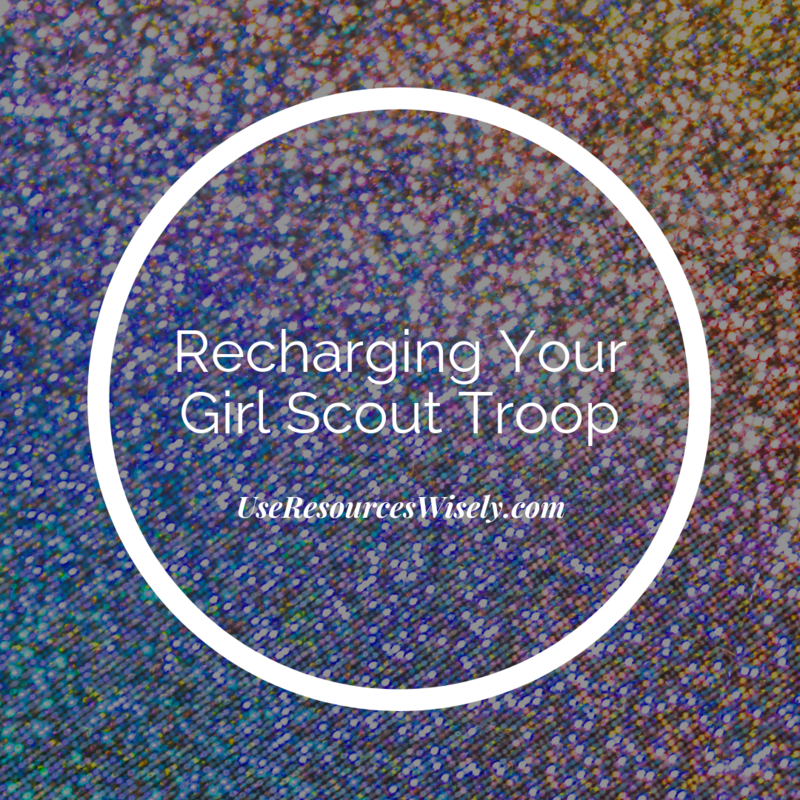 This is one of my absolute favorite activities that we do in our homeschool, but it's partly so wonderful because it's so adaptable. Sure, it can be your entire geography curriculum, or just an enrichment to another spine. You can include it in your history studies, or in the natural or earth sciences. Even if you don't homeschool, these Junior Ranger books are so fun that kids can simply DO them for fun. My kids do, and they think it's a nifty trick that I also let them count them for school! P.S. Want more obsessively-compiled lists of resources and activities for kiddos and the people who want to keep them happy and engaged? Check out my Craft Knife Facebook page! We just did our first two JR badges at Death Valley & Grand Canyon but are heading to Mammoth Cave next week for our 3rd. Question - I love the pins, but the iron on patches are even better, Did the parks send you both or how did that work? Just curious. I know you can buy some of them online, but was wondering what you ended up receiving in the mail. Thanks again for posting this guide! THANK YOU for all the research you did on this and your willingness to share it! My son got so many badges when we traveled, but that was a few years back and I never knew about anything online. This is amazing! Thanks for all your hard work! 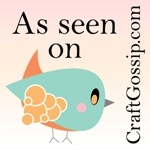 How fun to discover another family as wild about these badges as ours! Your obsessive searching sounds just like mine and we're embarking on a massive road trip again this year that will allow us to visit at least 24 NPS sites! For the parks that you need to visit, how much time is required to get the information they need to complete the badges? I am taking the kids out west this summer and most places we will only be there a few hours. This is insanely helpful- thank you SO much!! Sometimes they will send just the badges, and sometimes they will also send patches. Sometimes, the children have also received pencils, stickers, or other small treats, as well. I just took a wander past the kids' vests, and out of the ones they've earned by mail, it looks like Jimmy Carter, Junior Archaeologist, Petrified Forest, and Point Reyes sent them patches. The kids have several other patches from sites, but those were all ones that they visited in person, so I'm not sure what would be mailed from those. 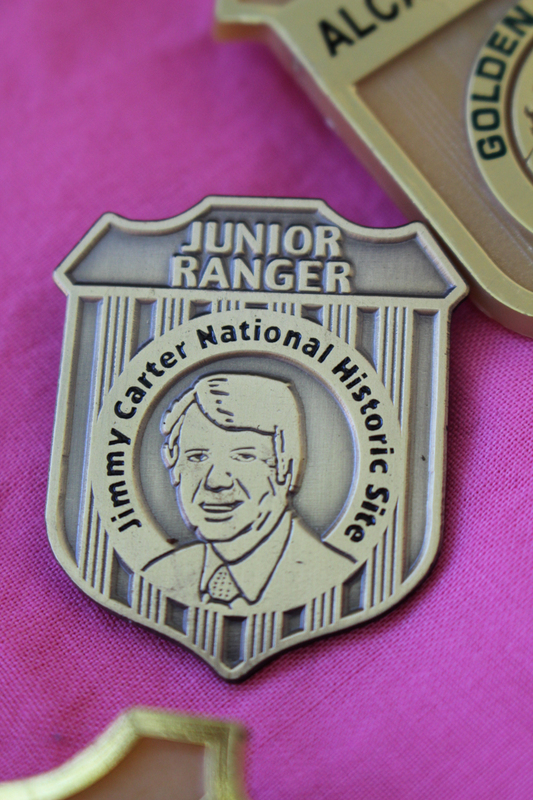 Each park creates its own Junior Ranger book, so the time taken to complete them varies a LOT. In some parks, the kids have earned their badges in an hour or so at the visitor's center before we've even toured the rest of the park, and in some parks, the kids have worked on them for a couple of days and we've seen every part of the park and learned every single thing there is to learn about it in the process, I feel like. And other parks have time commitments of just about every possibility in between. 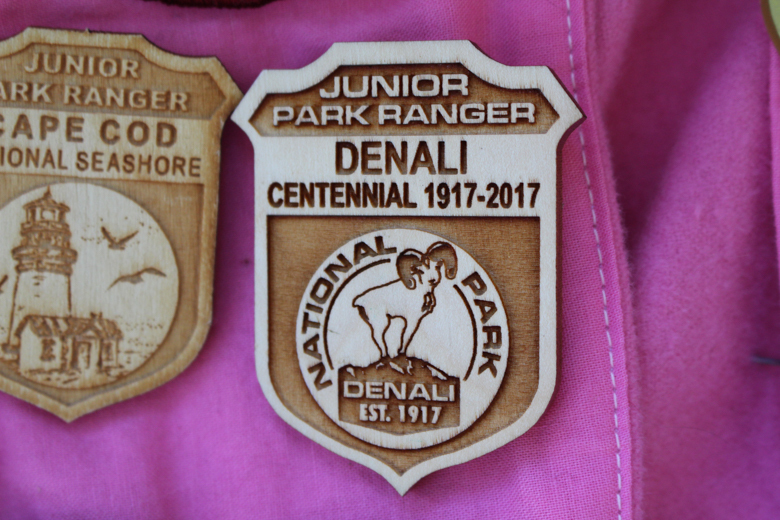 When we're planning a trip, I will usually print out the park's Junior Ranger book (if they've made it available as a pdf online), and ask the kids to complete all of the activities that don't require our presence in the park ahead of time. That way, when we're there we can concentrate on the park, and I won't have to sit on a bench for an hour while they work a crossword puzzle, say. Also, a total of two times this was the only way the kids could earn a badge at a particular park--twice, we've gone to a park and had the ranger tell the kids that they'd run out of badge books. Each time, when the kids excitedly showed them that they'd printed their books at home, the rangers were happy that they could do the work and earn the badge. Great idea. I think we will use them to form a class at our local library. I do notice that some of these referenced things that can only be done at the park, how do you get around those? 2. I found most were free, but at least Great Smoky Mtn Park charges a nominal fee for the program. 5. If you were wondering why some are Parks and some are Monuments, Parks require Congressional approval but Monuments only require the President to declare. So this is a terrific post. Thanks for taking the time to put it together. My family gets our junior ranger on whenever we can. As a prior commenter shared, sometimes parks run out of books or badges/patches. I thought I'd share another program called Redwood Edventures through the California Parks system. They are great, action/clue oriented activities which earn you patches for each one completed. You can find out more at http://www.redwood-edventures.org. Thank you for letting me know--I added it to the map! First of all thank you for compiling this amazing resource. Do you find when you mail in the completed activity books that they are returned to you? I was hoping they do because they contain a lot of valuable information. It depends on the national park. Most parks do return the books, and some will even include other souvenirs, such as pencils or patches. Badlands National Park can also be earned through the mail. Rangers will mail back the badge. 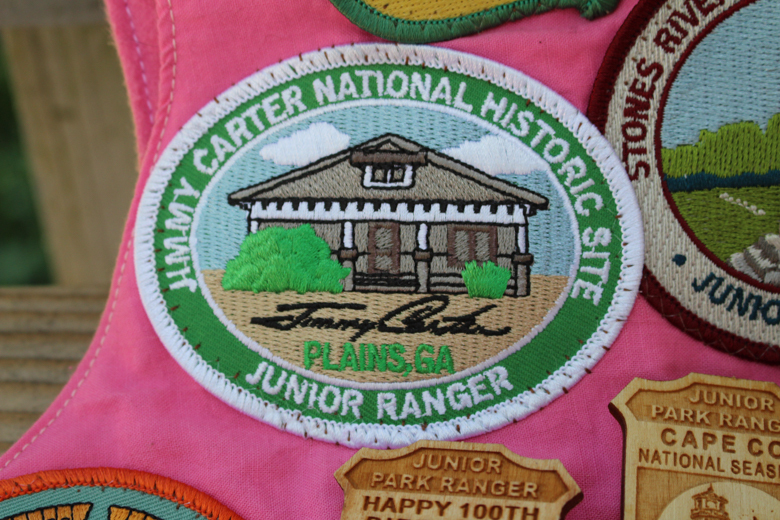 There is also a patch, but it is earned by completing a Ranger-led Junior Ranger program. As for why some parks charge and why others don’t allow the badges to be earned by mail, the books and badges can become a large budget expense for many parks. The materials are only allowed to be bought with specific funds and some parks do not receive as much as other parks because of size or visitation. The small charge is to help offset the parks cost at times because of the high visitation. 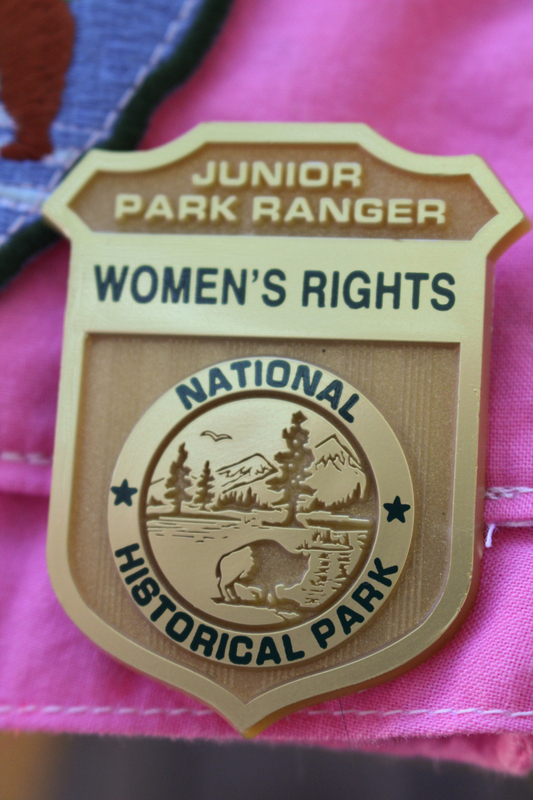 Most of Utah's state parks also offer Junior Ranger programs and we only found one that had a nominal charge for the book. Between the national parks, monuments and state parks you can earn 48 without leaving the state. Kodachrome Basin offers a unique six pointed star badge that was one of my sons favorite badges. Thank you so much for making this map!! When we travel, we try to visit as many of these as possible and this is the best resources EVER! 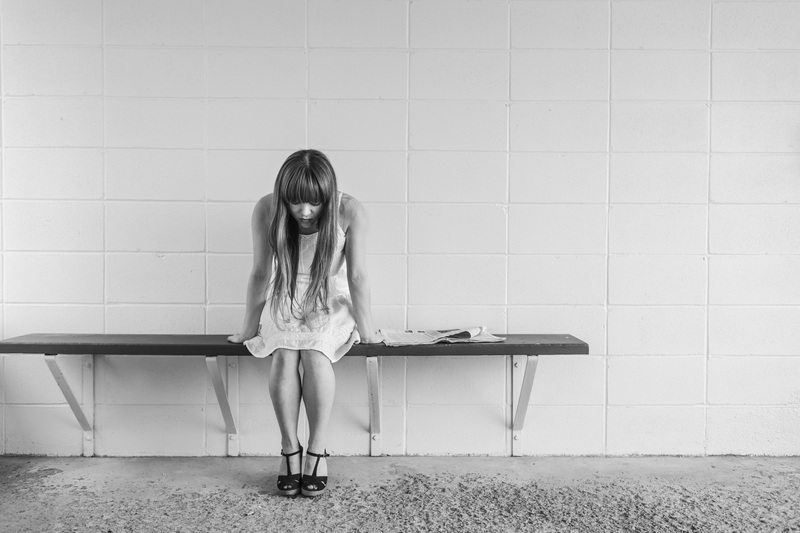 Thank you for this list and the links! I love the idea of adding Utah's state parks to the map--thanks for that! I only found three of their Junior Ranger programs via Googling, but I added those to the map, and whenever I come across any other state park Junior Ranger programs, I'll add those, too.